The Jabra EVOLVE 65 Bluetooth Wireless Headset works with all leading UC systems and has been designed to improve your focus with advanced noise-cancelling technology along with an automatic “busy light” to let others know when you’re on the phone. 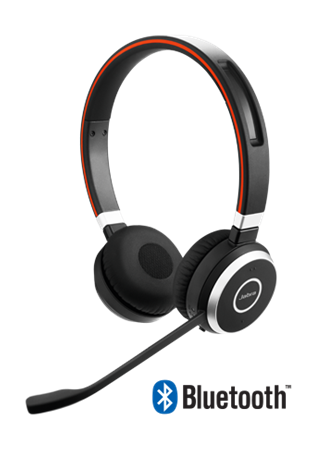 And with up to 10-hours of talk-time on a single charge, the EVOLVE 65 is a professional headset you can rely on. Simply wearing the EVOLVE 65 will eliminate high-frequency noise including human voices thanks to the headset’s specially designed ear cushions. Whether on a call or listening to music the Jabra EVOLVE 65 is a top-of-the-range wireless headset that delivers top-of-the-range sound quality. 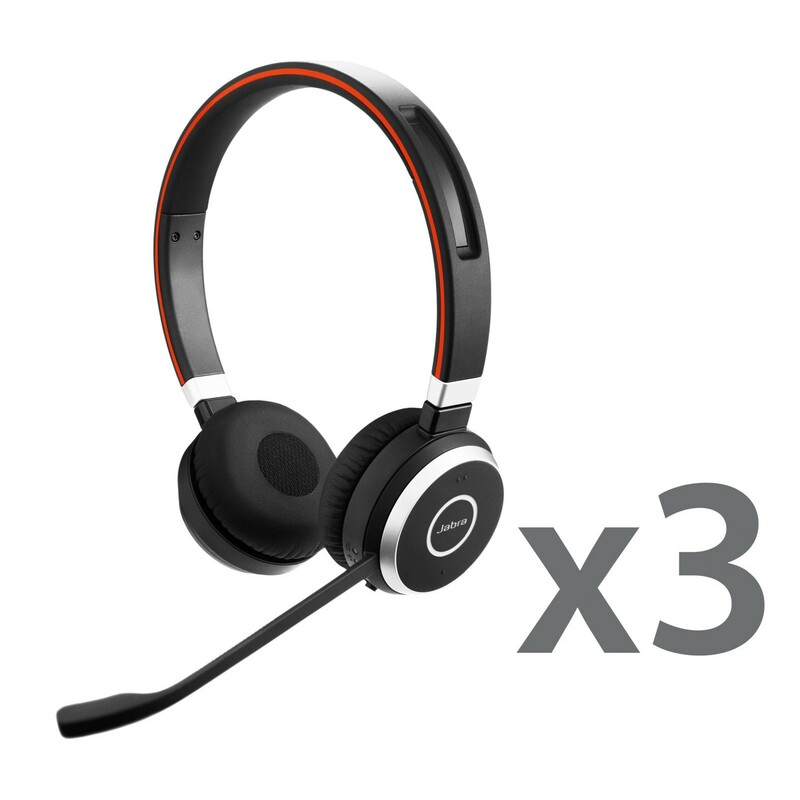 Thanks to Dual Connectivity you can easily switch between both by connecting your headset simultaneously your PC and one other Bluetooth device (eg. Smartphone or Tablet). And whenever you’re not on a call you can dock the mic-boom in the headband to keep it out of the way. Up to 30 metres away from your connected device, the EVOLVE 65 is capable of providing the same high-class sound quality, giving you the freedom and flexibility to leave your desk whenever you’re on a call. The Jabra EVOLVE 65 is NFC compatible allowing you to instantly connect the headset to any NFC-enabled device by simply tapping the two together. The easiest and most convenient way to get connected and start using your headset for calls and music. The Jabra EVOLVE 65 Wireless Bluetooth stereo headset with Jabra Link™ 360 USB adapter for VoIP softphone, mobile phone and tablet offers all the comfort, convenience & performance you need in a professional headset.